The best thing about the little cafes and hole-in-the-wall restaurants in Baguio is they’re cheap but the food isn’t drab at all. Of course, it all comes down to taste and preference, but as you all know, nothing’s ever too tasteless for a hungry stomach. Just beside Casa Vallejo (below SM Baguio) is this carinderia called Kainan sa Silungan. Its location makes perfect sense: you need to be on foot to spot it, not inside a car looking out the window, because its roof is on level ground as the street. Prepare to shell out a whopping P35 for a meal. Good Taste is very popular among locals and for good reason: you can have a feast for as little as P100, and the bigger your group is, the cheaper your meal becomes. The servings are so big it doesn’t make sense to dine alone, unless you can wolf down a dish meant for no less than 4 people. Their buttered chicken is a local favorite—half an order has about nine pieces for less than P200. Another clear winner on the servings department is 50s Diner, which is popular for its high-calorie plates at less than P100 (the usual includes a serving of pasta, fries, pork chop, and chicken). You order a sandwich and they give you the whole loaf—that kind of thing. Tucked beside the La Trinidad Jitney Terminal, the string of carinderias at Slaughterhouse is for those who want their meat, well, fresh. It’s actually just a line of stalls getting the choicest parts from the day’s, um, carnage. Sinanglao, dinuguan, lechon kawali, plus an assortment of veggie dishes—you gotta try them at least once. Prepare to shell out about P150. Meanwhile, you can head to Volante for oven-fresh pizza, which is best eaten in instead of ordered for takeout (as any good pizza should). Six-inch pizzas start at P70, pastas at P130, breakfasts more or less P100. Wherever you are, there’s bound to be a strawberry taho vendor nearby. Unfortunately this is prone to inflation. Come Panagbenga, vendors can jack up the prices to P20 per cup (it’s usually just P15). If hunger pangs hit in the middle of the night, the noodle vendors on wheels stationing themselves in front of KFC at the base of Session Road (in front of the DBP Building) provide a quick, hot, not to mention cheap fix. Each bowl goes for P15. Go to Kaffeeklatsch for live acoustic music to go with your coffee, but for those who want the convenience of Session Road, Rumours is perfect for P50-cappucinos or beer. Volante’s coffee is P28 with refill, and so is their lemongrass tea. Fresh fruit shakes at 50s Diner are about P50. Sure, you can head to Burnham Park and paddle one of the boats to see if the recent refurbishment of the Burnham Lake is any good. Mines View Park unfortunately looks suffocating with all the stalls lined up at the entrance. You can, however, head to the Panagbenga Park along Loakan Road. Tam-Awan Village and BenCab Museum are also great options for those who want their dose of art, but getting to the latter entails a lengthy cab ride out of the city. Entrance fees are P50 and P100 for Tam-Awan and BenCab Museum, respectively. BenCab Museum gives student discounts as well. The Bell House & Ampitheater at Camp John Hay also charges around P30, while the Bell Church (a Taoist structure) right at the border of La Trinidad and Baguio has fascinating pagodas perched on hills. The Baguio Cinematheque, meanwhile, offers indie film screenings at P50, but you may get lucky and chance upon a free screening for the day. Click here for screening schedule. AND, of course, not to forget, Baguio’s famous ukay-ukay. If Bayanihan or Skyworld is not your thing, try braving the chilly night when a part of Harrison Road is closed to vehicular traffic and ukay-ukay vendors set up shop right on the road. Watch out for pickpockets though. Fresh strawberries are cheaper at the market, although you can also try picking them yourselves at La Trinidad. A kilo of strawberries this peak season may be around P80 or P100, but a little pricier in La Trinidad if you go pick them yourselves. We know, it doesn’t make sense. Conveniently located just below SM, Upstairs Bed & Bath is a budget accommodation that spares you commutes around the city. Session Road is two minutes away, and the parade route during the Panagbenga is practically just above your room. Dormitory accommodations go for P299 per night. Mile Hi Inn at the Camp John Hay Commissary also has dorm rooms. You may also book via Agoda, which we noticed gives out pretty awesome last-minute deals. GOOD TASTE. The new branch is at Carino cor. Otek St. near Legarda, just behind Burnham Park; the old one is behind Baguio Centermall. 50S DINER. Leonard Wood Road. SLAUGHTERHOUSE ROAD. A short walk from Baguio Centermall towards Magsaysay Avenue. VOLANTE. Session Road near Skyworld, Greenwich, and Sizzling Plate. Open 24 hours. Other branches are beside Ketchup Food Community along Romulo Drive & at the Baguio Technohub at Camp John Hay. KAFFEEKLATSCH. City Camp Alley, a little walk across Jollibee Legarda. Hi, we currently live in Baguio. :) But for bus fares, one way is P455 via Victory Liner. 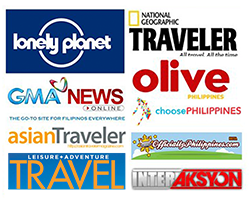 this article is very helpful and your site is easy to the eyes! thanks! 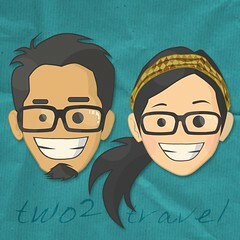 Hi Two2travel.. Are you always online? My BF and I are planning to spend his bday in Baguio, maybe Aug 30 – Sep 1 (We plan to leave by 12 noon). We have a very tight budget so can you give us an itinerary say we have a budget of 4000, fare exclusive? 4000 is workable naman if you don’t often take cabs (i.e. walk na lang) and plan your meals very well. Anyway there are lots of restos in Baguio that are affordable. Try Ketchup Food Community at Pacdal — just ride a jeep from somewhere in Session Road (you can ask around where Pacdal jeeps are waiting for passengers) and stop at Wright Park. Ketchup is on the other side of the road. My GF and I are planning to visit Baguio on the 26th. Can you recommend a cheap hotel where we can stay for 3days/2nights? We’re on a tight budget kasi. Thank you! cool site/blog :) Just wondering if going to Mount Sto. Tomas will be a good adventure also in the months of June-July..? Thanks for this blog entry. Staying at upstairs dorm for the night and had a P40 dinner earlier at silungan just beside DSWD. Hi! Do you have any details on the Strawberry Farm? I was wondering if it was something practical to squeeze in a two-day schedule.